Facility Solutions is a regionally based construction firm providing Integrated Facility Maintenance and General Contracting services in ten states. They offer rapid response and 24/7 availability. In addition to providing Integrated Facility Maintenance (IFM) and Project Management services, Facilities Solutions offers Call Center Services, Emergency Preparedness, Recovery and Build-back solutions. Their IFM program provides routine services for general building and facility repairs including electrical, plumbing, carpentry, millwork, glazing, carpet replacement, painting, ATM construction/installation/replacement, doors, parking lot repair, exterior lighting and signage installation, sidewalk repair, roof evaluations and repairs, above grade waterproofing, landscaping and grounds maintenance. 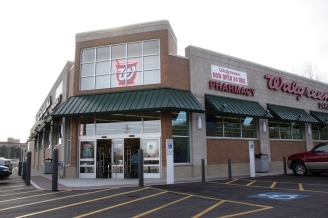 Calhoun Construction Services provides the 24/7 emergency service for Facility Solutions in multiple Walgreens locations throughout Indiana and Kentucky. Calhoun’s services have included pharmacy renovations, painting, drywall repairs, exterior brick repairs, store front windows and doors, parking bollards, electrical service and generator installations to maintain the stores during electrical outages.